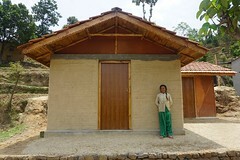 Farmers in this eastern region of Nepal generally earn less than $200 per year. They own marginal land that is unsuitable for most crops and generally engage in slash-and-burn cultivation of millet, maize, and/or potato once every 4 years per plot. Apart from this difficult livelihood, alternative employment opportunities are portering heavy loads or temporary manual labor. 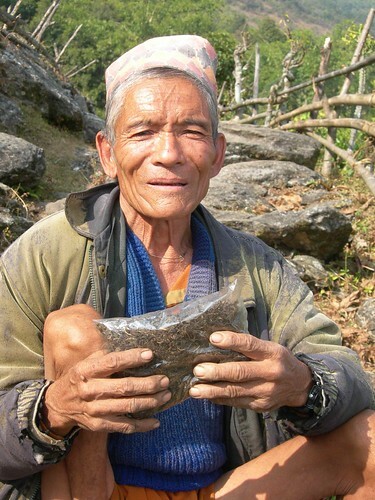 Krishna Gurung has been selling his tea locally at a good profit. 350 families, organized into 19 collectives. 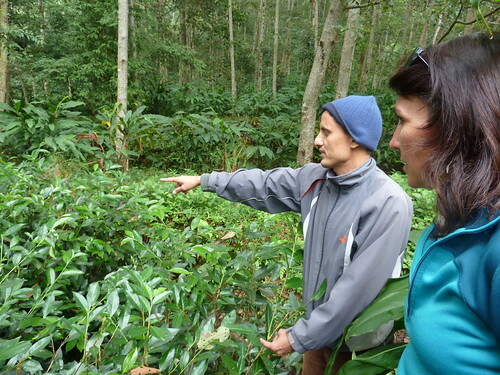 Over 800,000 tea plants on 44 hectares of land. Land has increased 20 times in value over 8 years due to tea. Farmer income can triple over the next 3 years. Growing high altitude organic orthodox black tea. Tea sold on local market and Kathmandu export market. Since the beginning, Parshu has approached development by eschewing traditional models and instead combining common-sense pragmatism with first-hand knowledge of the region to achieve success. 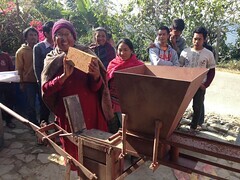 His organization has an excellent reputation with local villagers, government offices, and international donors, and has designed a uniquely effective Poor-Nonpoor Partnership (PNP) model for development. His goal is not only to generate sustainable long-term income for poor farmers and significantly raise standards of living, but also to attract youth to remain in village areas through desirable employment and to have disparate income and ethnic groups working together to improve social harmony and the peace process. 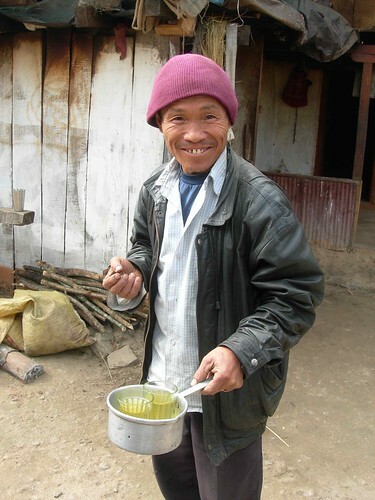 Ratna serves up green tea that he learned to grow and process through our program. 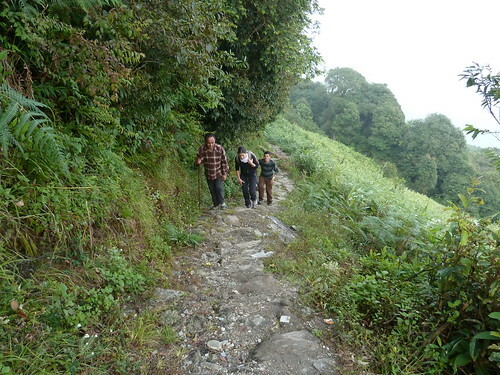 Parshu hikes into the mountains regularly to inspect the tea plants. 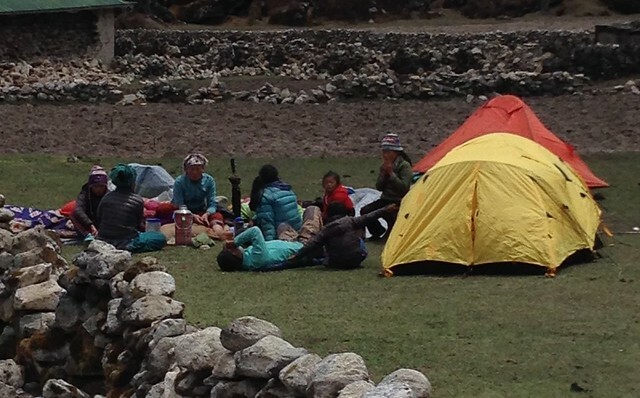 Visiting farmers and tea fields requires hours (or days) of hiking through the remote Himalayas. 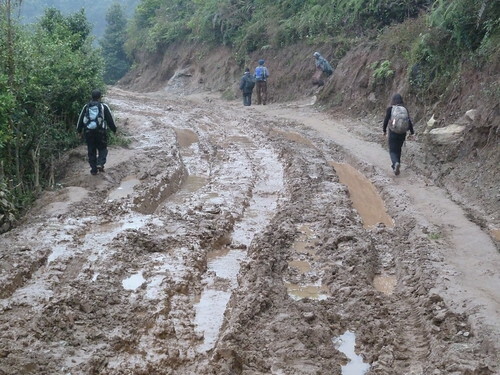 Eventually the road will help connect farmers to market throughout the year, but right now it is passable only in the dry season.